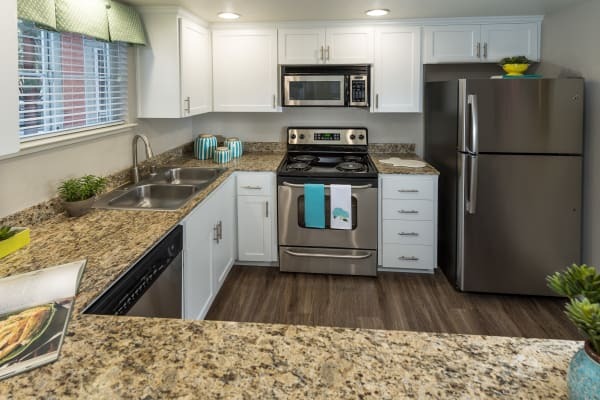 Our family-friendly one and two bedroom apartments for rent in Santa Clara, CA, are crafted to provide you with a comfortable place to call home. That’s why we go out of our way to outfit our homes with convenient amenities and high-end finishes around every corner. Our apartments at Bella Vista Apartments are sure to please even the most discerning tastes. Call or stop by today for a first-hand look at Bella Vista Apartments.